The call before showing code (CBS code) is an additional code you may need to enter before you can access the key compartment of a lockbox. 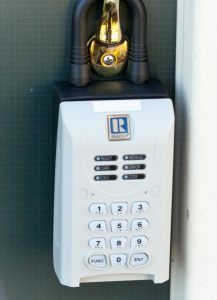 It is an extra layer of security on the lockbox requiring an additional code before the key compartment will open. Not all lockboxes use a CBS code. A listing Agent may choose to use a CBS code to ensure that he / she knows about any showings prior to the actual showing date and time. An agent can find their CBS code on the website under their Default Lockbox Settings. Affiliate SentriCards are required to use a CBS Code on all lockboxes. Please contact Beth Fischel, Member Services Manager, at bfischel@dullesarea.com or 703-777-2468 if you have any questions or concerns.